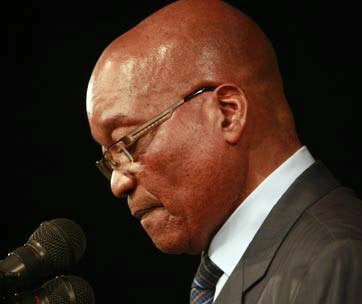 Sawubana boPresident Jacob Zuma, unjani boBaba. 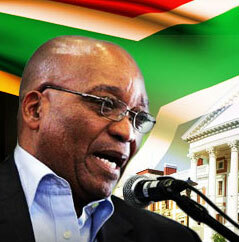 Once again you have delivered a well presented State of The Nation Address to the people of South Africa. Your State of The Nation Address was poignant, and addressed serious issues affecting our people, in an absorbing speech with well timed humorous remarks that broke the tension of an otherwise serious discussion. Congratulations, I applaud you. However Mr President, you continue on a path that has failed since the early 1980's, of course I refer to the intended way forward on the road to job creation. Since the early 1980's SOuth African leaders have consistently followed a path of funding corporate business in anticipation these organisations are the answer to provideing employment... Since the early 1980's these policies have been remarkable only in their failure to create kobs in sufficient numbers form the funds available. President Zuma, the only way to resolve the employment crisis facing our nation is relaising the only sector able to create the required number of employment opportuniteis is the Small Busuness Sector. Until Small Business has access to venture capital, it will remain hamstrung, unable to achieve the levels of growth essential to alleviate the poverty and unemployment endemic in our nation. Providing ten billion rand to the IDC (Industrial Development Council) for loans to large businesses will not create more than a token number of new sustainable job opportunities. Small business has historically suffered from a lack of access to venture and start-up capital. This is not a failing unique to your government, it was inherited from the previous rulers. Without venture capital (high risk loans) small business is unable to take advantage of existing opportunities. This nation desperately needs support for pure (non-racial) access to venture funds. Mt President, although you did not mention the existing policy of requiring the limited available funds (for big business) to be used only to create labour intensive type employment projects, this is another practice instituted by the Nationalist government in the '70s and '80s that has and always will fail to provide the economic stimulation and level of productivity essential to grow real economic growth in a modern world economy. South Africa is NOT China or India, with a culture of people willing to work simply for the sake of working, no matter the conditions or the rewards. South Africa NEEDS to look towards high productivity in order to be competitive, and labour intensive production will never compete successfully with modern manufacturing methods. The requirement for labour intensive job creation is preventing the possibility of real numbers of new sustainable worthwhile jobs being created. The same number of man hours could have accomplished 8 times as many similar projects if the requirement for the trench to be dug and filled by manual labour not existed. The benefit to the nations failing utility infrastructure is clear. Faster roll-out of upgrades and new installations will do more to boost the economy and hence job availability than allegiance to outdated medieval concepts. Finally, President Zuma, The policy of BEE has failed. It can only fail. It has done more harm to the economy and preventing more growth than perhaps any other policy. BEE has seen incompetent people placed in positions they are totally incapable of filling, simply because they meet racist legislated requirements. Surely the ANC has learned form the mistakes of the past - racism is doomed to fail wherever it's applied. At the same time tens of thousands of capable, skilled and competent workers are unemployed, working in other jobs, or have left the country because they do not meet the equity requirement of BEE.